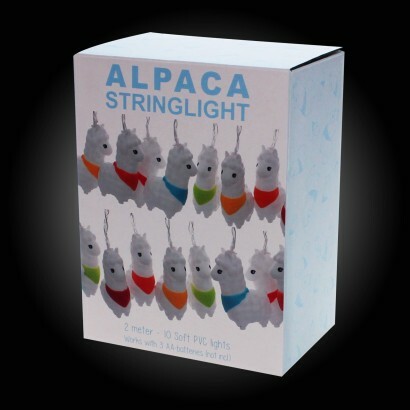 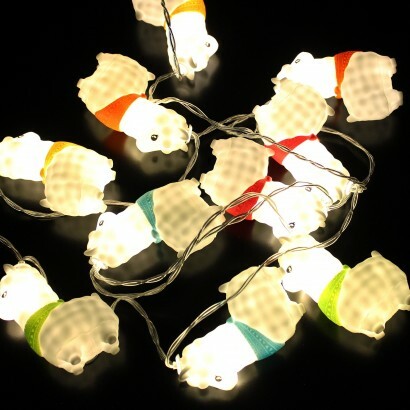 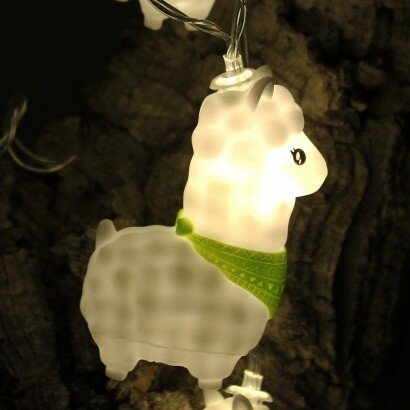 A pack of alpaca to add character and warmth to your home, these cute string lights are lit by warm white LEDs for a cosy glow. 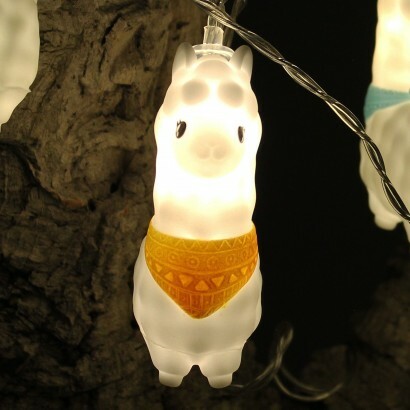 Each sweet alpaca wears a colourful bandanna adding a splash of colour to their look as they shine making a playful lighting feature wherever you choose to place them. 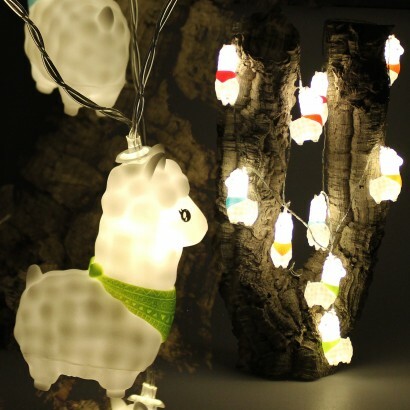 Battery operated, these super cute lights are ideal for kids rooms adding a touch of South American charm and a comforting glow.